Posted 5:07 pm, May. 10, 2018. An undated photo shows members of Equitable Securities Corp. gathered in front of the company’s Nashville office. The picture was among the items collected by J. Dewey Daane. 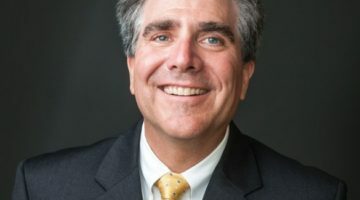 Twenty-five years ago, the late J. Dewey Daane set out to tell the tale of the small but mighty Nashville investment bank that played a vital role in the Owen School’s founding. Take a look aroundVanderbilt’s Management Hall and note some of the business school’s most prominent benefactors, starting with namesakes Ralph, ’28, and Lulu Hampton Owen. There’s also Brownlee O. Currey, BA’23, Frances Hampton Currey (Lulu’s sister) and their son Brownlee O. Currey Jr., BA’49, all of them major supporters of the School of Management, and more broadly, Vanderbilt. Then there is the Thomas B. Walker, BA’47, Management Library and the H. Laird Smith, BA’27, Courtyard, both of which underwent recent renovations. The one name that’s not mentioned, and yet is perhaps the most important of all, is Equitable Securities Corp. That’s the name that links many of the Owen School’s earliest and most stalwart supporters, and is perhaps responsible for the very existence of the school itself. Founded in December 1930 as a municipal bonds dealer in Nashville amid the first shocks of the Great Depression, Equitable grew within a generation to become the second largest investment bank in the nation, behind only Merrill Lynch. A shrewd purchase of American Express stock, spearheaded by Brownlee Currey, who died in 1952, helped fuel Equitable’s growth throughout the 1950s and 1960s. That investment led to Ralph Owen’s appointment as board chairman of American Express in 1960 and the company’s eventual acquisition of Equitable in 1968. 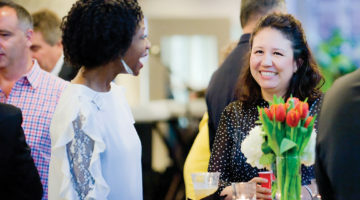 Around the same time that Equitable saw its fortunes grow, many of its executives were working behind the scenes to convince Vanderbilt’s Board of Trust to launch a graduate school of management. Once Chancellor Alexander Heard and the board agreed to move forward with the proposal in 1967, the school was kept afloat in its rocky early years only by the financial support and expertise of many of the same individuals who had ties to Equitable. By December 1990, Wigginton had convinced J. Dewey Daane, a longtime professor at the Owen School and former Federal Reserve Governor, that he should write a history of Equitable Securities. Daane agreed, setting out to interview former employees and associates “to tell the story—and I sincerely believe it is a great story—in human terms rather than corporate statistics,” he wrote in an early draft. Daane died in January 2017. At his death, Daane had filled four large storage boxes with material he had gathered about Equitable, which his widow, Barbara, has since donated to Vanderbilt’s Jean and Alexander Heard Libraries. The research 120 banks across the South failed, and unemployment shot to 25 percent. To avoid its own collapse, Fourth & First was forced to merge with its chief rival, American National Bank, creating First American National Bank, which itself went on to become a Nashville institution. But American National had its own bond department and, according to Daane, the three main Equitable founders either lost their jobs or left to avoid that eventual outcome. 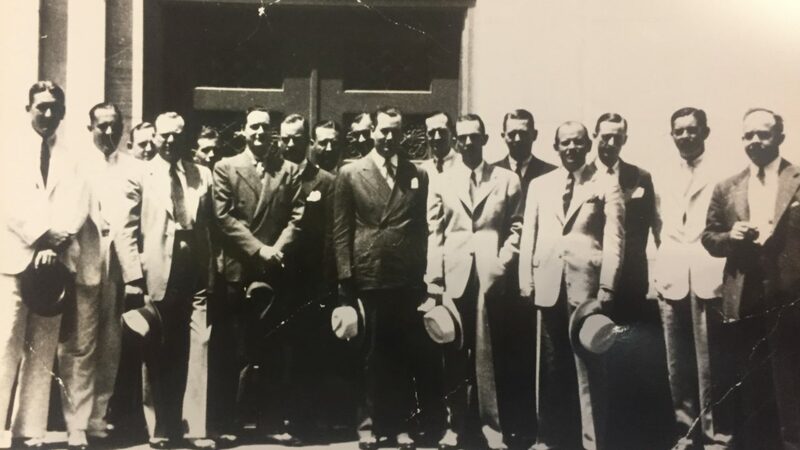 Less than a month later, they pooled together about $50,000, aided by H. Laird Smith, BA’27, and Cale P. Haun, to start Equitable Securities and pick up the bond business that First & Fourth was leaving behind. The company’s first balance sheet, dated Dec. 31, 1930, is as quaint as a framed dollar bill from a store’s first sale. Among the assets and liabilities listed by the firm are $842.10 worth of furniture, $437.35 in salaries and $35.65 for travel expenses. includes transcripts of 26 one-on-one interviews with people like William Cammack, BA’52, who joined Equitable before the sale to American Express, later served as president and CEO, and is now chairman of the current Equitable Trust Company; Andrew Benedict, BA’66, MDiv’83, a former Equitable vice president; and Ewing “Commodore” Bradford, BA’27, a key Equitable figure who worked at the company into his 80s and died at his desk. The boxes also contain the minutes of board-of-director and shareholder meetings spanning the years 1930 through 1957, a bulging accordion folder containing background information about Brownlee O. Currey, and Daane’s own notes and drafts. Given the amount of time that has passed since Daane began working on this project, not to mention a warehouse fire that apparently destroyed company records sometime after 1968, writing a definitive history of Equitable may never be possible. Nevertheless, Daane left behind a rich trove of information. What follows here is a kind of summary of Danne’s findings, along with an effort to convey the spirit of the Equitable story that he and Wigginton had hoped to tell for so long. To understand Equitable’s roots, it’s necessary to start with the 1918 opening of the investment bank Caldwell & Company in Nashville. Rogers Caldwell launched his enterprise at a time when money to rebuild infrastructure like roads and schools was pouring into the South. The company soon purchased Fourth & First, the bank where Rogers Caldwell’s father, James E. Caldwell, was president and a major shareholder. Fourth & First was also the bank where Equitable founders Brownlee Currey, Ralph “Peck” Owen and George Bullard worked as municipal bond dealers. But by Nov. 14, 1930, Caldwell & Company faced a gauntlet of soured investments coupled with panicked customers withdrawing deposits from the banks it owned, forcing it into bankruptcy. That’s when many say the Depression really hit Nashville. As many as 120 banks across the South failed, and unemployment shot to 25 percent. To avoid its own collapse, Fourth & First was forced to merge with its chief rival, American National Bank, creating First American National Bank, which itself went on to become a Nashville institution. But American National had its own bond department and, according to Daane, the three main Equitable founders either lost their jobs or left to avoid that eventual outcome. 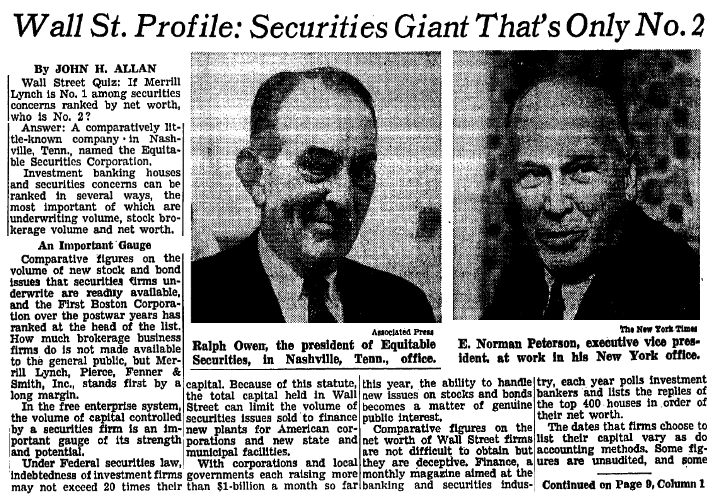 Less than a month later, they pooled together about $50,000, aided by H. Laird Smith, BA’27, and Cale P. Haun, to start Equitable Securities and pick up the bond business that First & Fourth was leaving behind. The company’s first balance sheet, dated Dec. 31, 1930, is as quaint as a framed dollar bill from a store’s first sale. Among the assets and liabilities listed by the firm are $842.10 worth of furniture, $437.35 in salaries and $35.65 for travel expenses. While Equitable’s balance sheets continued to show a steady rise throughout the 1930s and 1940s, as well as a growing footprint with offices opening across the region, things remained relatively quiet until about 1949, according to Daane’s research. Board minutes show Currey’s efforts to acquire shares of American Express, which had been offered to the firm by the company’s biggest shareholder at the time, Albert Wiggin, the former chairman of what became Chase Manhattan Bank. Notes from the minutes added: “He explained that we had the opportunity to purchase approximately 130,000 shares of the AMEREX HOLDING CORPORATION Stock, but due to the limitations on our capital and our borrowings at the time, that it was necessary to get the Union Securities Corporation as a partner.” Currey went on to say that if Equitable had put up the money to do the deal alone, it could have doubled its windfall. Though Currey wouldn’t live to see the American Express investment pay off fully, Equitable emerged as the company’s largest shareholder by the spring of 1967, with a stake worth nearly $70 million, according to a feature story about the rise of Equitable in The New York Times. The paper estimated the firm’s net worth at the time to be around $90 million total, behind only Merrill Lynch, with a net worth of about $161 million. One key innovation, the story noted, is that Equitable didn’t limit itself to offering services just to outside customers—it also traded in its own accounts. By the end of 1967, American Express acquired Equitable in an all-stock deal then valued at $110 million. The subsidiary was paired with a similar financial services company that American Express had purchased a year earlier, creating a new unit called Equitable Securities, Morton & Company. After only three years together, in 1970, American Express began closing Equitable Securities offices around the country and exploring a sale of the unit. That deal came two years later when William Cammack, the current chairman of Equitable Trust, led a group of investors who bought the Equitable name and various other assets from American Express. Equitable Trust Company was created in 1991 as a subsidiary of Equitable Securities, though today it is the company that remains, managing more than $2 billion for families and institutions from its headquarters in Nashville. 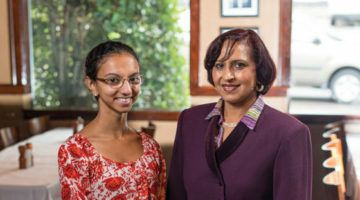 Equitable’s name might not be readily visible at the Owen Graduate School of Management, but the company’s hallmark traits of national excellence and close-knit collaboration remain in abundance.